Blizzard has addressed concerns voiced by World of Warcraft players in the run up to the release of Battle for Azeroth, saying that it has no plans to repeat story beats that have been seen in previous expansions. In a presentation at Gamescom, producer Micheal Bybee says that “there are definitely other plans in store,” for both the Alliance and the Horde. In a discussion about the ongoing development of the expansion’s story, Bybee referenced the suite of recent cinematics and Warbringers videos that were released ahead of the latest expansion. Across two of those cinematics in particular – Warbringers: Sylvanas, and Old Soldier – some players were concerned with the direction the Horde seemed to be taking. After one of those videos, which focused on the burning of the Night Elf World Tree Teldrassil, some players voiced their dissatisfaction, (even harassing some writers online). Concerns were mostly aimed at the fact that the current Horde Warchief, Sylvanas, was following too closely in the footsteps of previous leader, Garrosh, by very clearly putting forward the Horde as the bad guys, yet again. “We’re super excited with where it’s going to go, and I can just say that we’re not going to do to Sylvanas what happened with Garrosh,” Bybee says. That should help to alleviate the concerns of Horde players who were worried that the unfortunate matter of that genocide would cast them as the baddies. 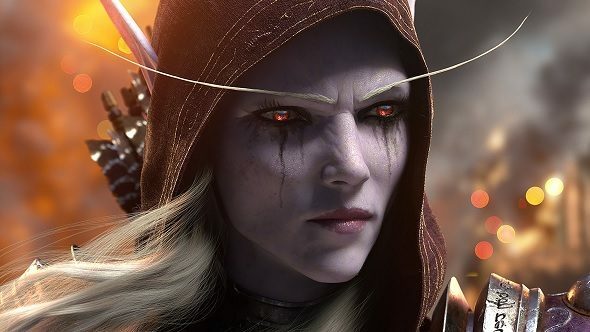 It also more or less confirms that Sylvanas won’t follow in the footsteps of Garrosh in acting as the final raid boss for the expansion as well.